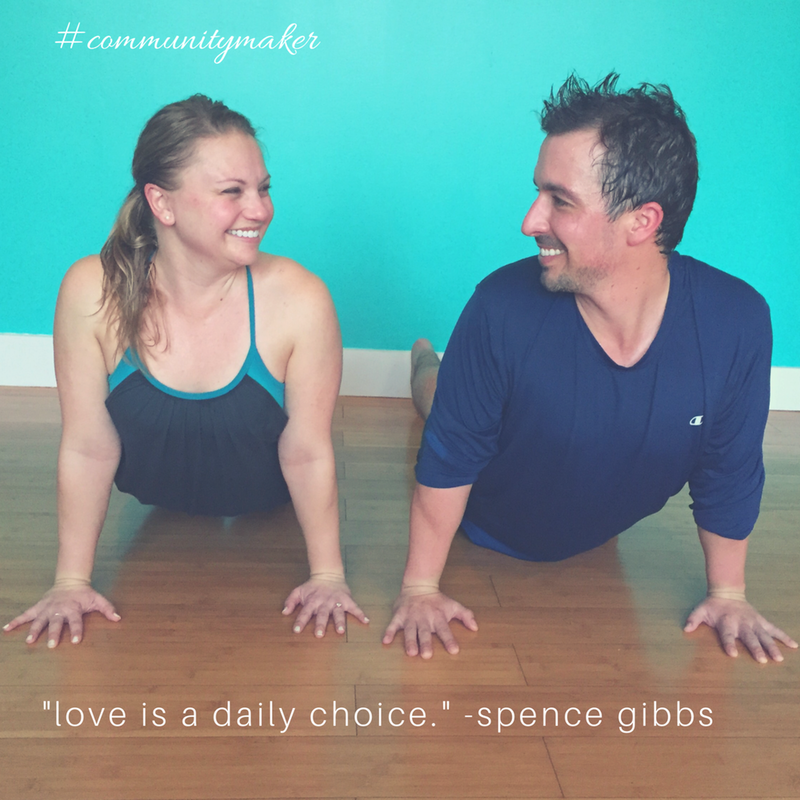 Spence: the BEST yoga studio in Charleston 4 sho! I have tried a lot of them, so this information can be trusted. Dawn: a place where I can take an hour for myself. Close my eyes, breathe, reset, and recharge. S: savasana after a hot power flow class…soak it up. Three words: Cool.Lavender.Towel. D: supine spinal twist. For me, there is no greater release than that feeling of wringing out my body and creating more space. S: is still in the making… the best is yet to come. D: keeps me grounded. Whether I need to sweat out some tension and stress, or just stretch and breathe, yoga is my go-to. No matter what I am facing in my life, yoga helps me find that next step I need to keep going. S: the key ingredient to staying grounded in the present. At times, I struggle with worry and anxiety about the future. Breath allows me to slow down, remember where I am, and reminds me of all that I have to be thankful for. D: how I gauge what I really need on my mat. S: a daily choice. If we choose love, I believe God takes care of the rest. D: choosing to speak and act in ways that positively impact those around you. S: sharing this awesome life with others. D: having a group of people who all support each other. D: “Take your time.” I love feeling like I don’t have to rush. S: I played baseball in college. There is something about being at a ballpark that is good for my soul. D: watching a sunrise or sunset in a beautiful setting. S: No snacks for me after I brush my teeth before bed! Sorry, brainwashed dentist here. For the sake of not being lame, dark chocolate acai berries are the bomb. D: I don’t really have one. I am rarely awake at midnight. I do love anything chocolate though!